I've released a plugin that fixes the vertical lines with Konami games (Enthusia, etc) on the PCSX2 Emulator. I was disappointed to find that the problem still hasn't been fixed for the latest 1.2 release. Tried this one which I made for 1.0 release and it still works. So now I am releasing it to you. How it works is using a different method to copy the offscreen surface to the backbuffer, bypassing some (broken) post-processing. There is no noticable glitches. Update 1/2/2015: Full source is now included. The actual fix is in GSRendererHW::Draw() the function DrawPrims() is causing the black lines, this is what is bypassed when FBP is 0. The plugin was also used in the making of the video below. Hey, Picked up NFS:HP on steam today, but to my dismay it didnt work with the G25 that well. Luckily, I stumbled upon your great utility, but it doesnt seem to support the current steam ver of the game, no matter what I set my GAMEVERSION =, Any ideas on how to workaround this, if possible? Thanks! Could you recompile it for SSE4 or at least SSE2? Hello great job but could you please make a pull request to the PCSX2 Github repository ? GSDX is GPL and PCSX2 really needs any help it can get. Someone who is able to fix GSDX bugs is a great rarity. Indeed if you really want this to be part of PCSX2 please make a github pull request and we will look into implementing it ASAP. This even fixes the lines in Drakengard 2 (and probably many more games that suffer from it). You should really make an github pull as the current PCSX2 devs are to incompetent to do anything (see progess of the last 1-2 years - none). This also crashes Soul Calibur games, so if the PCSX2 devs are so incompetent, you are welcome to show *your* competence by contributing. Flaming doesn't help you or us. When I use this, it fixes the vertical lines but it gives a black bar on the bottom, please help! sorry guys, there is probably some crashes due to incorrect buffer size.. I've included the source in the zip for anyone who would like to fix it properly. Thank you! You are a king! 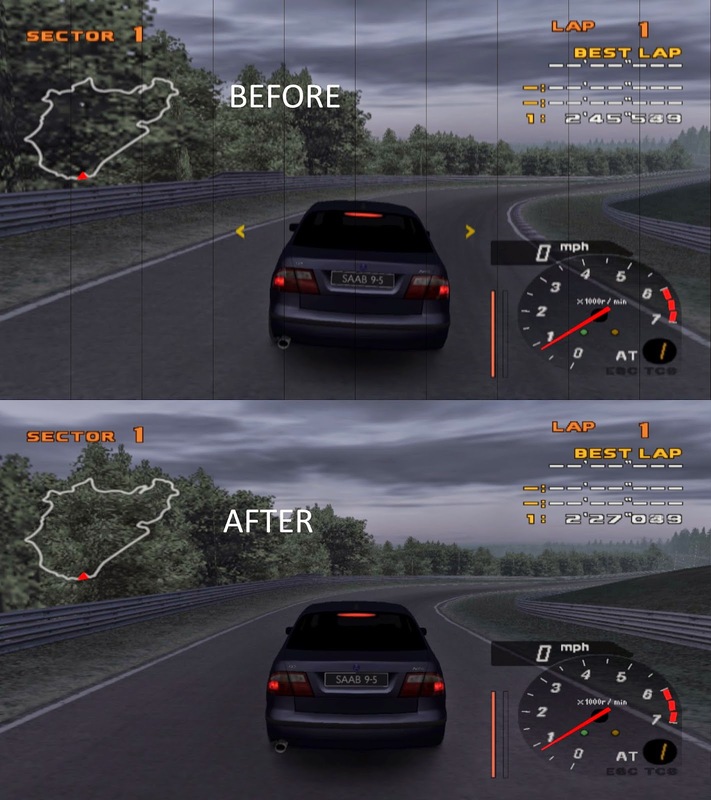 Racer_S, could you make a camera control for The Crew? Move the .dll file to your PCSX2 plugins folder, then open PCSX2 and select it in the plugin/BIOS selection menu. It's a "GS" plugin. Well, it does not work if i set the graphics to "hardware" (it just crashes the whole PCSX2 application when i try to boot an ISO), i tried it on 1.0.0, 1.2.0, 1.3.0 and 1.4.0 releases with Ace Combat 4 NTSC rom. I also tried different renderers (3D9, 3D11) and different bios. Any ideas ? Many thanks to the author, it helped me and greatly improved the graphical indicators during the game. I'm a fan of retro games and often spend time with friends sitting at the monitor and trying to pass all the levels for the best result. I downloaded the emulator here https://romsmania.com/bios/pcsx2-playstation-2-bios-3, maybe someone will come in handy.